Asus originally unveiled the 13-inch Transformer Book Chi 300 at Computex 2014 in Taipei, but now the manufacturer also unveiled two smaller and less powerful versions. 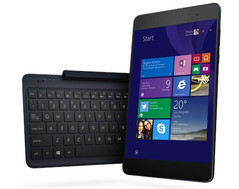 The three members of the Transformer Book Chi series will all launch this February. 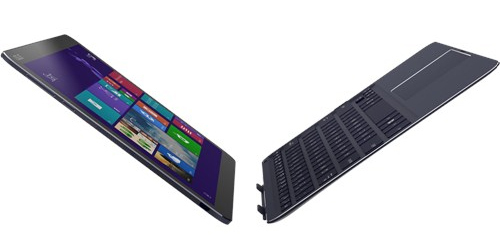 The flagship device in the new Transformer Book Chi line-up is the T300. Compared to the 13-inch Apple Macbook Air, the T300 Chi is thinner, lighter, and comes with a higher-resolution display. The Asus Transformer Book T300 Chi is just 7.6 mm thick, has a weight of 720 grams, and features a 13-inch IPS display running either a fullHD (1920 by 1080 pixels) or a WQHD (2560 by 1440 pixels) resolution. Other specs include up to 128GB of SSD storage, an Intel Core M chipset (either the 5Y71 or the 5Y10 version, depending on the model), and up to 8GB of RAM. The fullHD version with 128GB of SSD storage will be priced at $699, while the top model with a WQHD display will cost $799. 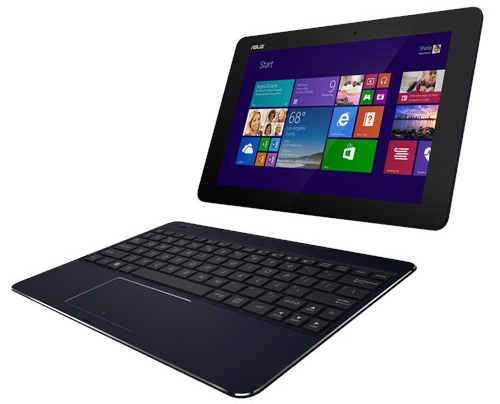 The Asus Transformer Book T100 Chi is a smaller version of the T300 that shares the same build and design language. The T100 Chi comes with a 10.1-inch IPS display running a fullHD resolution, but the Core M CPU was replaced by a much less powerful Intel Atom Z3775 chip paired with up to 2GB of RAM. The downgrade in terms of performance has a positive effect on the selling price, one starting at $399. The smallest member of the new Transformer Book Chi series is the T90, a 2-in-1 convertible that bets big on its compact design and low price. The display measures 5Y10 across the diagonal, and the body is only 7.5 millimeters thick. The weight of the whole device (including the keyboard dock) is one of just 750 grams. Unlike its high-res siblings, the Transformer Book T90 Chi comes with a 1280 x 800 resolution. Under the hood Asus placed the same core components as on the 10-inch model, such as an Intel Z3775 CPU and up to 2GB of RAM. The T90 Chi will be priced starting at $299 in the United States.